In the fourth volume of the endgame series a lot of themes with more material are included, such as rook and minor piece versus rook (and minor piece), rook versus two minor pieces, double rook endings, queen and knight versus queen and bishop, the bishop pair and other endgame principles. Typical topics are: the so-called Fischer endgame rook and bishop versus rook and knight, and ending which occurs quite frequently in practical play and is very often favorable for the rook and bishop tandem; with opposite colored bishops, the presence of one rook for each side greatly increases the winning chances of the attacker compared to the pure opposite colored bishop endgame (see the first DVD in this series); when is the queen + knight combination stronger than the queen + bishop; which drawing methods exist in the pawn-less endgames, viz., rook and bishop versus rook, an endgame which is quite often won over the board. 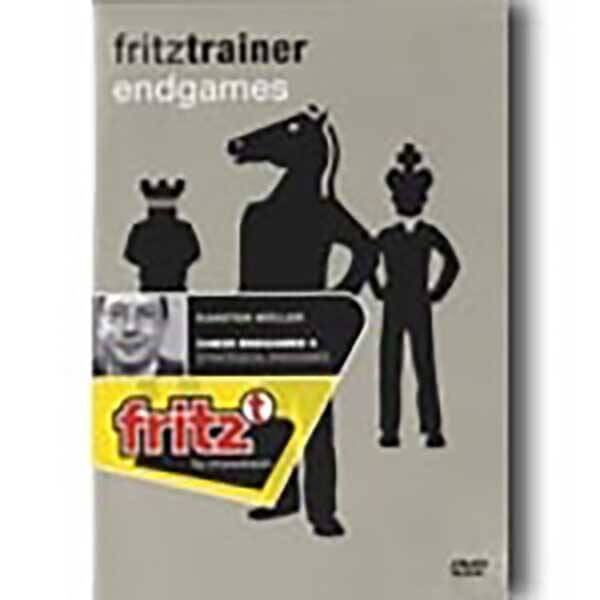 Those who have always found studying endgames with chess textbooks too dry and tedious will enjoy this DVD with its comfortable training system and benefit enormously in brilliant endgames at the actual board. Complete video running time: approx. 6 hours.